Fishing Tourney #5 ended yesterday, so of course it’s already time for another event in Animal Crossing: Pocket Camp (Free). While the Flower Festival is still on until the wee hours of August 29, another event will run alongside: Gyroidite Gathering 4, featuring the completely adorable Denim Gyroidite. In addition to these two events, the Civic essence is being launched tomorrow (August 21) with three new villagers, new craftable clothing and furniture, and new amenities. It’s a busy week in Pocket Camp so let’s get started. The Gyroidite Events are quite zen when compared to, say, the fishing events. Earn Gyroidites by completing requests, visiting Shovelstrike Quarry at the right times, or collecting those scattered across the game. You can then trade them for event-exclusive furniture and clothing. 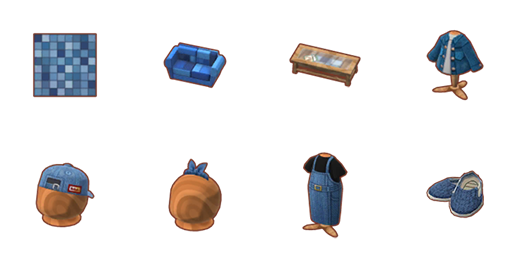 There are two furniture items craftable using Gyroidites, the Denim Patchwork Rug and the Denim Sofa. 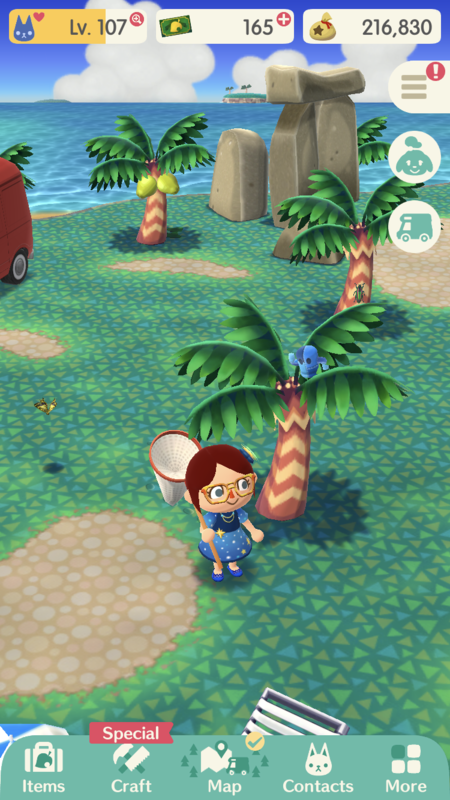 Four clothing items can be crafted using Gyroidites: the Denim Cap, the Denim Headband, the Denim Overall Dress, and the Denim Slip-Ons (shoes). There are two premium event-exclusive items: the Denim Display Table will set you back 100 Leaf Tickets, while the Denim Shirt costs 50 Leaf Tickets (and is very much mandatory if you want to don a Canadian Tuxedo in the game). The Gyroidite Event runs until the end of the Flower Festival, 2 a.m. EDT on August 29. The new essence, Civic, also brings some villagers and permanent craftable items to Animal Crossing: Pocket Camp. Your first three Civic villagers will be Elise, Gaston, and Kidd. Elise is a monkey who wears some stunning pink lipstick, and her friendship rewards are the Gumdrop Tee and the Copy Machine unlock (so you are able to craft it). Gaston is a grumpy moustached rabbit whose friendship rewards are the Swell Tee and the Vision Tester unlock. And then there’s Kidd the purple kid (goat); his friendship rewards are the Waistcoat and the Digital Camera & Tripod unlock. What I’m anticipating the most from the new essence is the new amenities it will bring. Tier One, the Pipe Park is what it sounds, a playground that contains a pipe or two to crawl in. Tier Two is the High-Rise office building, and Tier Three is the Bronze Twins Fountain. As always, the first tier amenity has three “levels" to build, while the second and third have five. Each one needs to be complete to the highest level before the next unlocks. I almost forgot: new snacks! Civic characters will favor custard, which is available is plain, tasty, and gourmet varieties by trading items through Gus or completing certain goals. That is a lot of information about the goings-on in Animal Crossing: Pocket Camp, so let’s recap. First, Fishing Tourney #5 has ended. The Flower Festival is still happening, with the Denim Gyroidite event also on now. 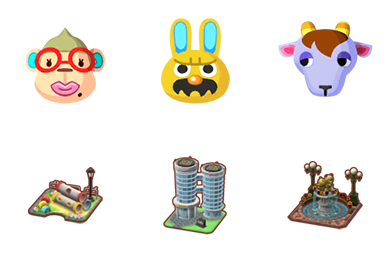 And finally, the Civic essence will officially launch tomorrow, bringing with it three new villagers, three new amenities, and loads of new craftable items. Happy camping!